Boasting Jackson's trademark high-speed playability and performance with a mid-range price tag, the X Series Soloist SL4X guitar is also the only product in the current lineup to offer a triple single-coil pickup route configuration. With a third Duncan Designed HR-101 Hot Rails pickup added between the neck and bridge pickup, we've unlocked an even wider and more versatile range of tones. Hot wound rails coupled with a powerful ceramic magnet power this musical beast with the aggressive crunch and sustain hard rock and metal styles demand. 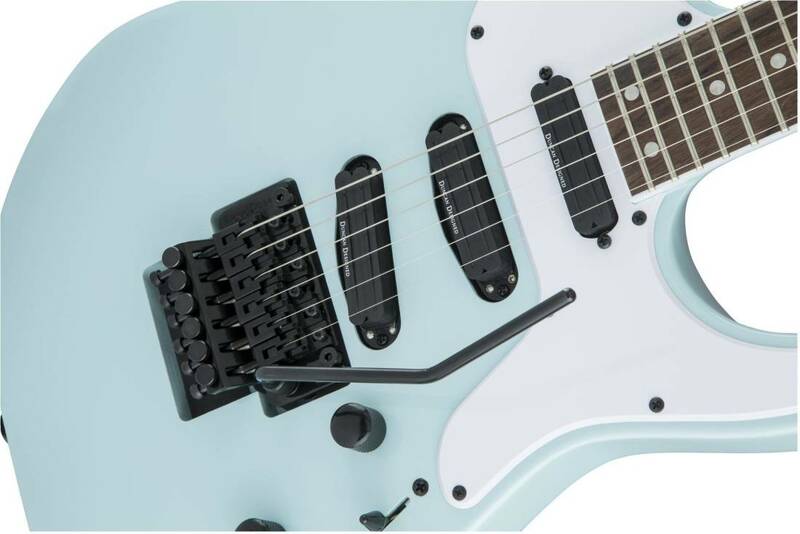 With single volume and tone controls and a five-way blade switch, players can explore a variety of pickup combinations, while a Floyd Rose Special double-locking tremolo (recessed for picking hand comfort) bridge system provides superior string stability, sustain and dynamic tremolo action. Featuring a 25.5" scale length, the SL4X is crafted out of basswood and coupled with a one-piece through-body maple neck with graphite reinforcement and scarf joint, providing stability against the ravages of the road. Wrapped in white binding, its 12"-16" compound radius rosewood fingerboard features 24 jumbo frets and dot inlays.